Natacha Atlas at the Triple Door on Tuesday night in the third week of the Earshot Jazz Festival. 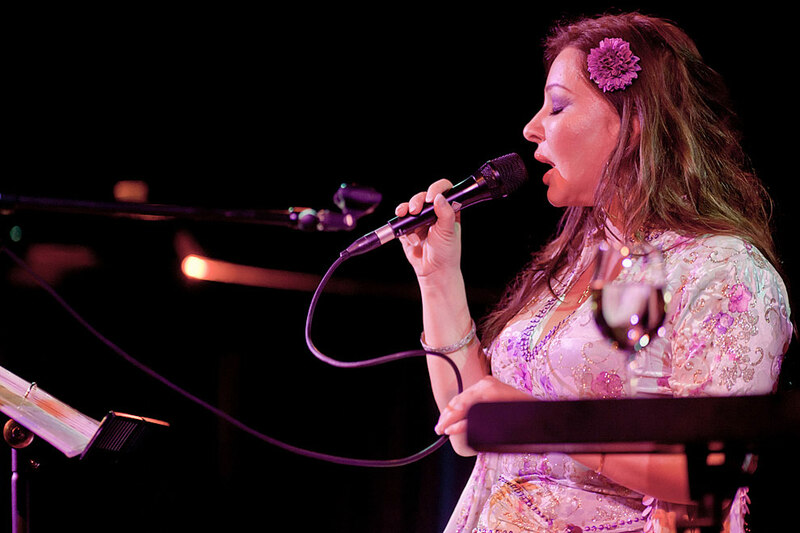 Natacha has been a major world music innovator since the early 1990s, first with Transglobal Underground, then her own albums commencing in 1995 with Diaspora. The Belgian singer is a mix of Moroccan, Palestinian, Egyptian, and British ancestry and has long championed the combination of Arabic musical traditions with modern popular music. Or “cha’abi moderne” in her words. She once called herself “a human Gaza Strip,” referring to her Judeo-Islamic heritage. Reggae, drum n’ bass and hip hop have all impacted her music, but the Middle Eastern roots are always deep. The mesmerizing rhythms and sinuous grooves are richly grounded in that part of the world. One can visualize belly-dancers even if none are present. She is a talented belly-dancer as well as singer, as Transglobal Underground made evident.